Pilgrimage to Sabarimala is as popular in the south, if not more, as pilgrilmage to the well-known shrines of the Himalayas, such as Kedarnath, Badrinath, Gangotri or Yamunotri. 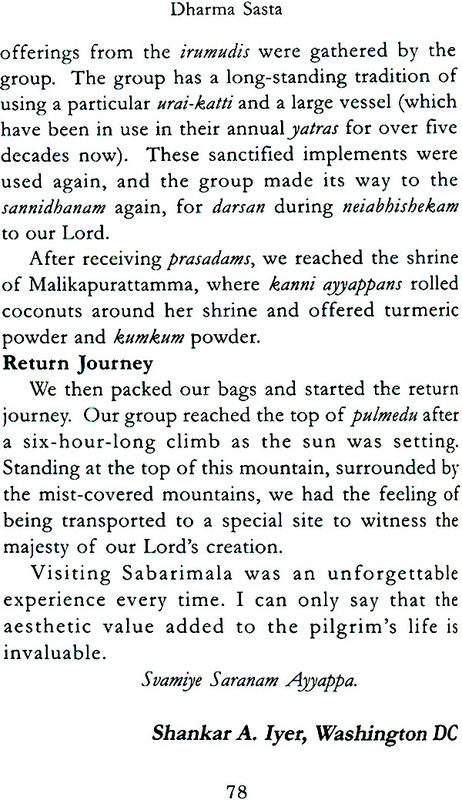 As ardous as the journey to the char dham (four centres), the Sabarimala yatra passes through steep, rugged hilly terrain, with the devotionally surcharged pilgrims undertaking the pilgrimage by walking the entire distance barefoot. The pilgrimage, which was previously confined to the Makhar Sankranti time (mid-January), has become practically year-round. Millions of devotees, including sizeable numbers from abroad, trek the hill, after undertaking rigorous austerities before embarking on the pilgrimage. Though arduous, the yatra is fascinating and the faith in the Lord is so much that there are devotees who make this an annual ritual for self-purification. This is also one pilgrimage where the millions move together without any distinction of caste or economic status. Everyone wears a simple black dhoti and a mala, and becomes ayyappan to each other in a most endearing manner. 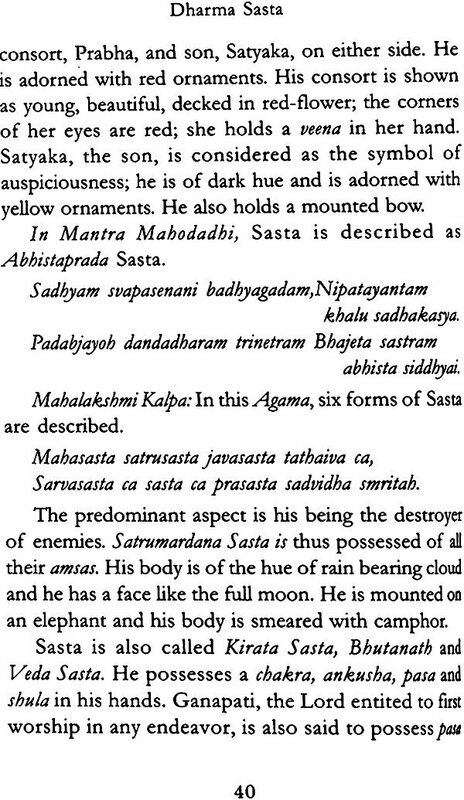 The philosophy of Dharma Sasta itself is fascinating. The Lord is believed to be the result of Siva’s attraction to Mohini, the form Vishnu adorned to lure away the asuras from the pot of nectar obtained when the Ocean of Milk was churned. 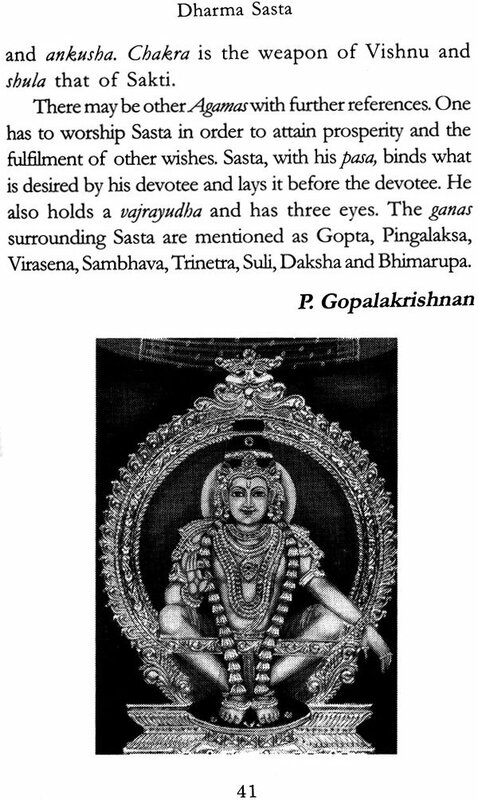 Ayyappa is the guardian deity of Sanatana Dharma. 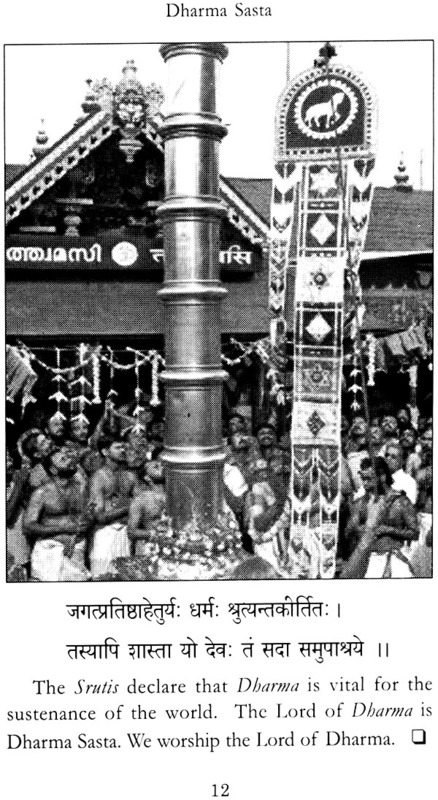 Who is lord Ayyappa, who evokes great veneration so many? What impels thousands of devotees to undertake this arduous pilgrimage and subject themselves to a high degree of self-discipline? This book attempts to answer these questions. 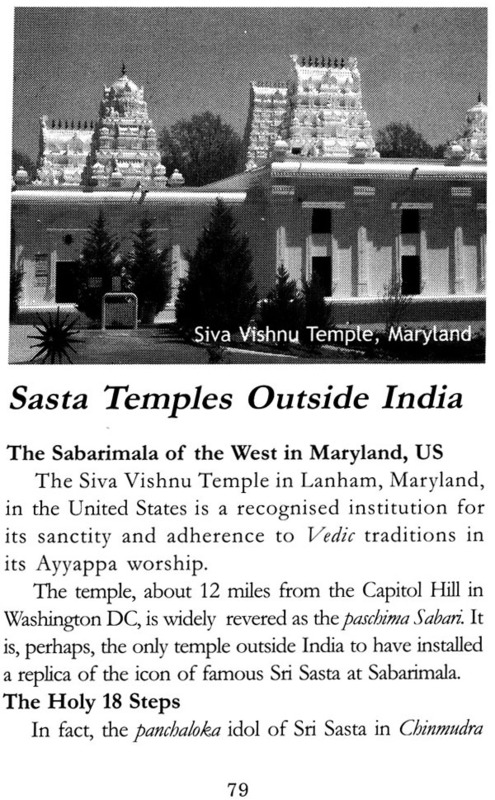 This is a comprehensive volume touching upon various aspects of the Sastha cult--legends around the Lord, references in ancient literature, celebrations at the historic temple on the Western Ghats, compositions on the deity, and the attraction of this pilgrimage to millions of Indians, including those living overseas. The book is a compilation of essays that have appeared in Tattvaloka, contributed by authors such as Dr. K. Kunjunni Raja, Shreekumar Varma, K.R. Vaidhyanathan, Uday V. Koppikar, R. Asha and S. Kannan. 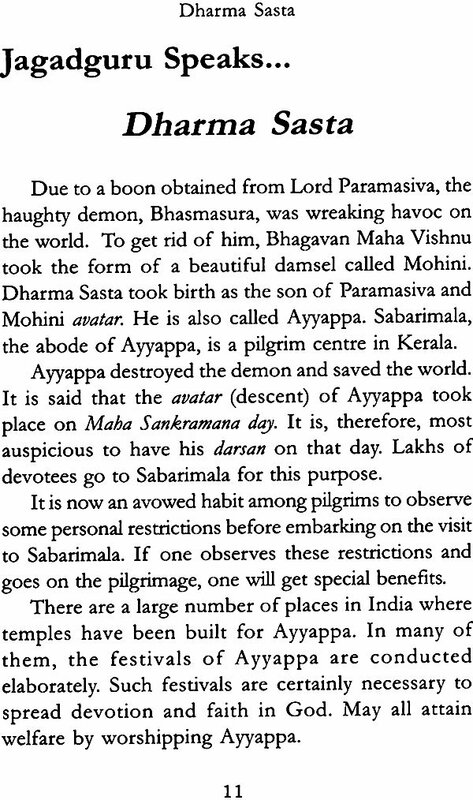 This volume be a handy guide to understand better the significance of Ayyappa as the embodiment of dharma, and to realise the meaning of the mahavakya, Tat Tvam Asi, Thou Art That.